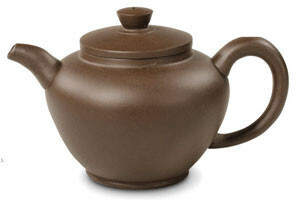 The handmade Dalian teapot has its roots in the City of Dalian in Northeastern China. This teapot holds 8 Oz. in its rare clay mold available in a rich earthy brown color. It also has the oil absorbing properties of the Harbin teapot and is thus also best dedicated to brewing one type of tea.